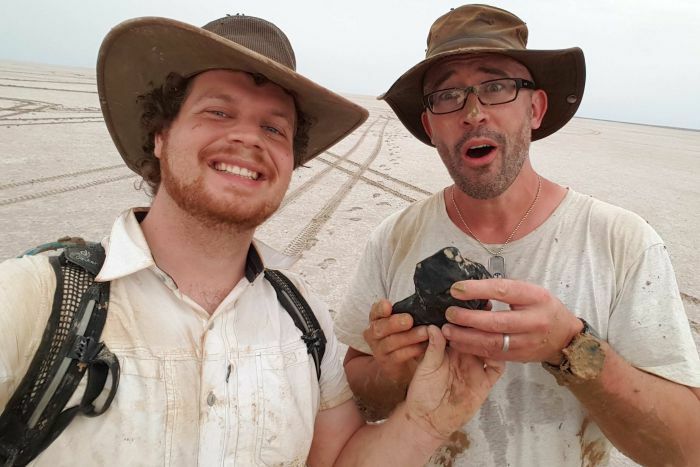 On December 31, during a three-day recovery expedition and with the permission and help of the local Arabana people Prof Phil Bland, PhD student Robert Howie and Dr Jon(athan) Paxman of Curtin University found a 1.68 kg (13x7x6 cm) entirely fusion crusted ordinary chondrite (H5/S1) which had fallen on the dry lakebed of Kati Thanda (Lake Eyre South) in the South Australian outback (29.26089°S, 137.53765°E) on November 27, 2015 (10:43:44.50 UTC). 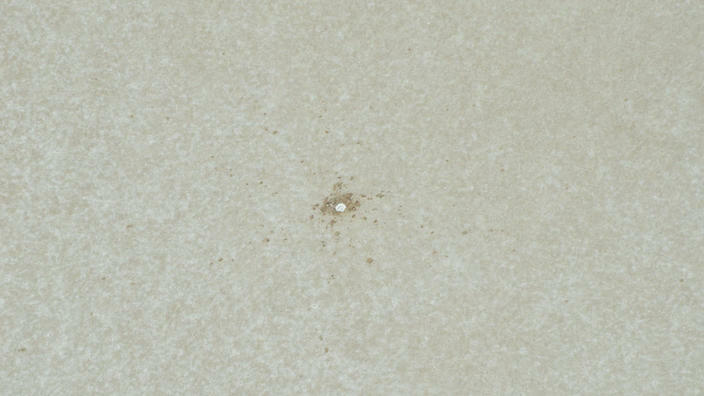 The find was possible because five cameras of the Desert Fireball Network (e.g. William Creek, Mount Barry, Billa Kalina and Wilpoorina) had recorded the fall. The data available, including the use of a WRF (Weather Research and Forecasting) climate model, could be used to calculate the trajectory and approximate fall location of the meteorite. 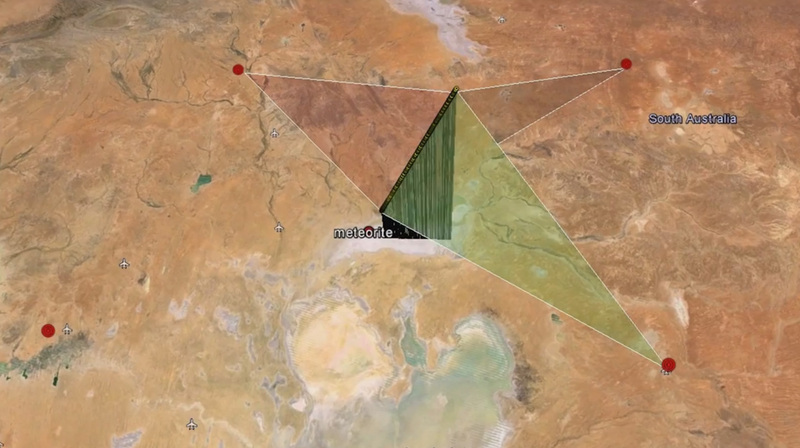 The triangulation by Martin Towner, Martin Cupak, Ellie Sansom, and Hadrien Devillepoix was based on the three DFN camera stations in William Creek, Billa Calina, and Wilpoorinna. The meteoroid with an estimated pre-atmospheric weight of about 80 kg and an initial speed of 13.82 km/s travelled through the atmosphere at an angle of about 70 degrees during its 72 km long luminous flight for about 6.1 seconds until it had slowed down to about 3.83 km/s and entered the dark flight phase of its trajectory at a height of 18.24 km above the ground. The meteoroid’s preatmospheric orbit was calculated to have the following elements: a = 2.62 AU, e = 0.62; i = 3.58 deg, ω = 356.3 deg; Ω = 64.63 deg, ν = 3.2, q = 0.9944 AU, Q = 4.3 AU. It wasn’t until the last day of the recovery expedition, 31 December, that a tandem search effort was undertaken since during the first two days the meteorite could not be found. 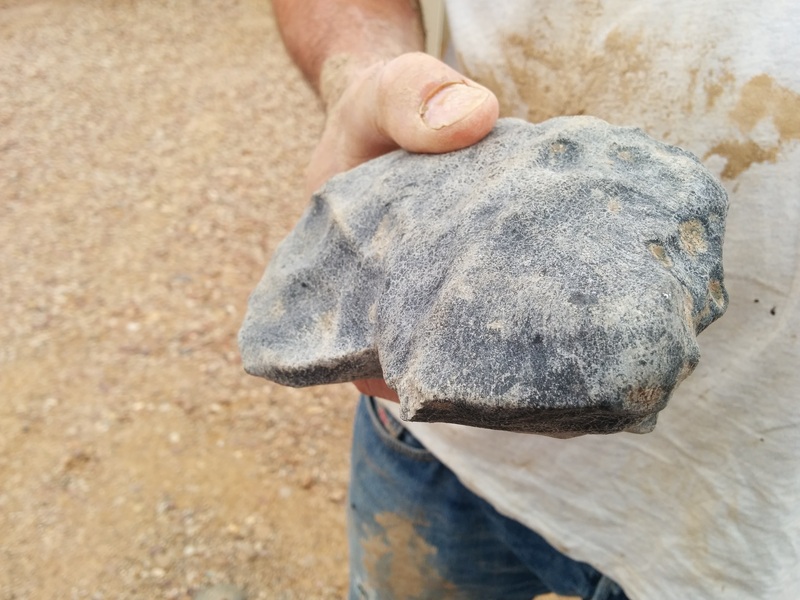 With a storm coming in from the north there was not much time left before Lake Eyre would be flooded from the north and any signs of the meteorite’s impact on the ground erased from the lake’s surface. Two quad bikes were used on the lake bed by Bland and Howie while a light plane with Jon(athan) Paxman on board and piloted by Trevor Wright, a publican and local tour flight operator from the nearby William Creek settlement, did the aerial observations. 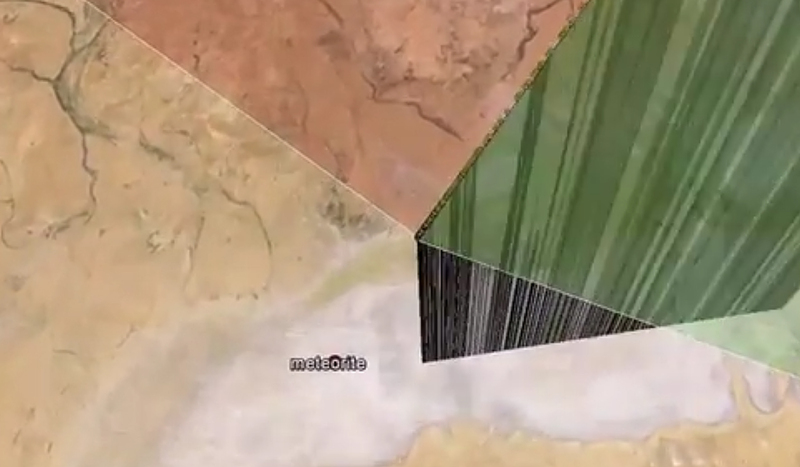 These aerial observations were important in the endeavor to find the exact fall location of the meteorite as told by mechatronic engineer Dr Jonathan Paxman who spotted the impact hole after about 80 minutes of aerial search. From the air Bland and Howie were guided to the impact site. 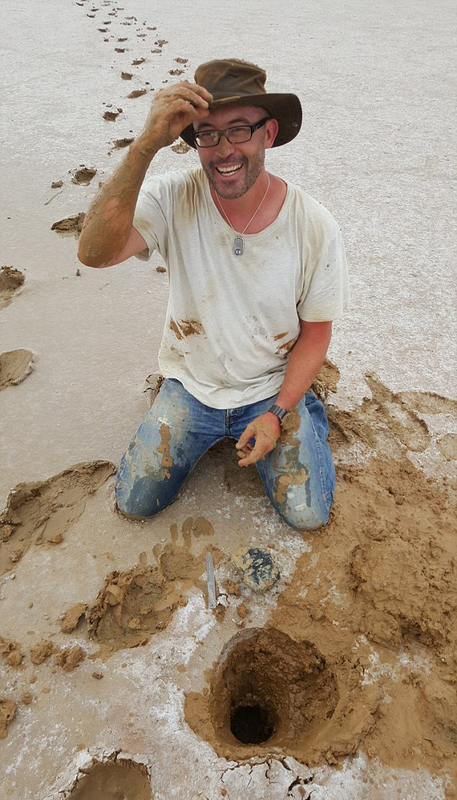 In early December Martin Cupak and Ben Hartig had already headed out to the fall region to do a flyover and managed to photograph a 60 cm impact feature in the lakebed. 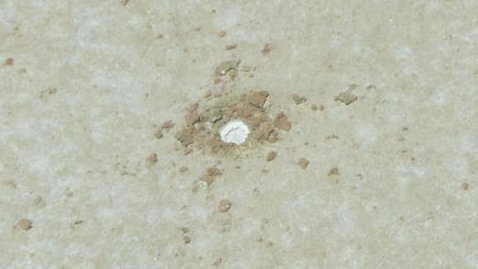 When the quad bike team arrived at the fall side they found a ‘small salt ring’, a small depression with a diameter of about 20 cm. 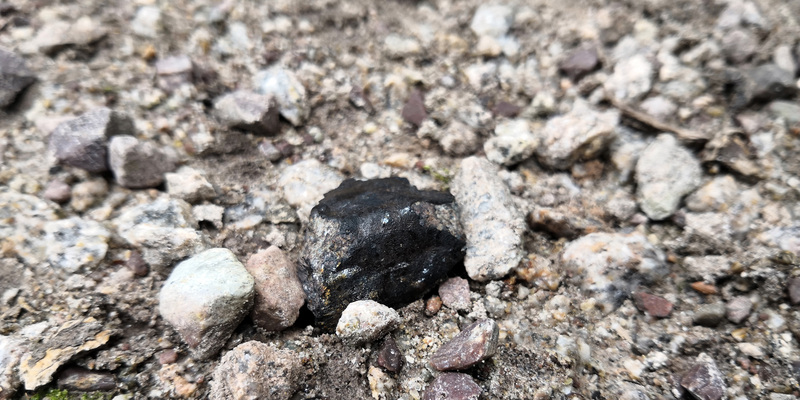 The meteorite was found only 218 meters from the impact location which had been determined based on the usual assumption of a spherical meteoroid in the calculation of the dark flight trajectory. 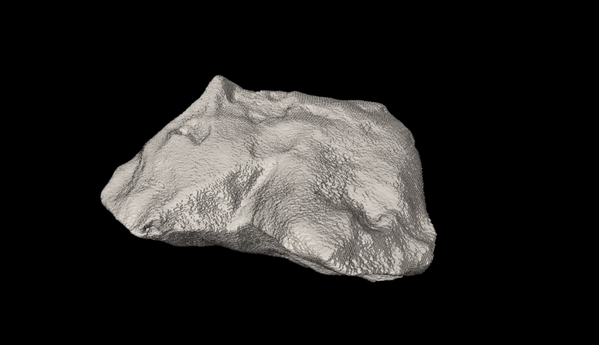 The Murrili meteorite (~ 13 x 7 x 6 cm) was excavated from a depth of about 43 cm in the thick salt lake mud. 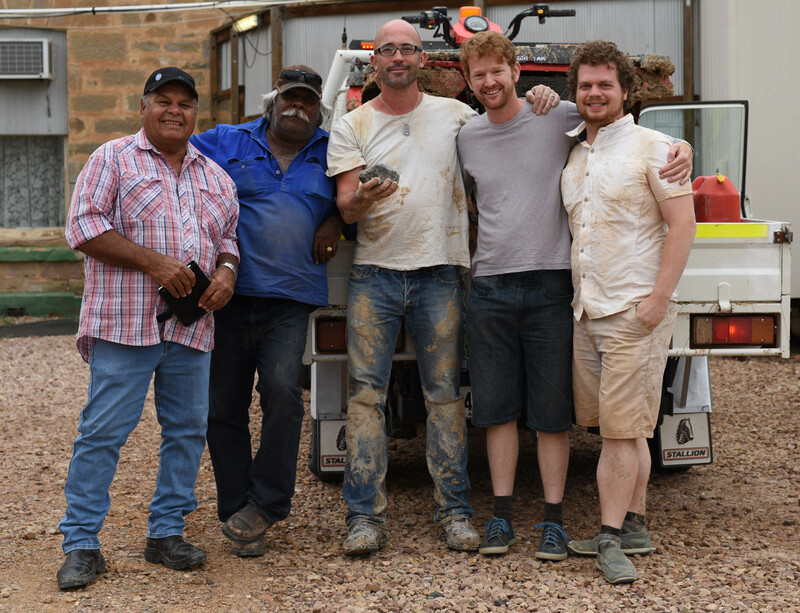 Since December 30 the recovery team had been guided by former cowboy and rail worker Dean Stuart and Dave Strangways of the local Arabana people. The meteorite was named by the Arabana people and was given the name MURRILI as significant for this region of Kati Thanda. The name honors a language that is hardly spoken anymore and thus might unfortunately vanish forever. 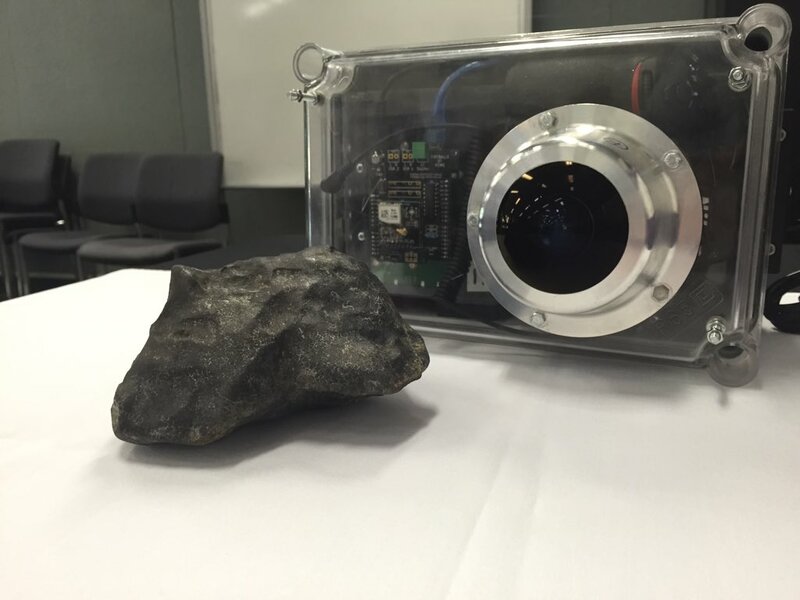 The meteorite has been 3D CT-scanned at a location of the Commonwealth Scientific and Industrial Research Organisation (CSIRO) and as ‘property of the Crown’ its main mass was handed over to the South Australian Museum (SAM) where it will be curated. 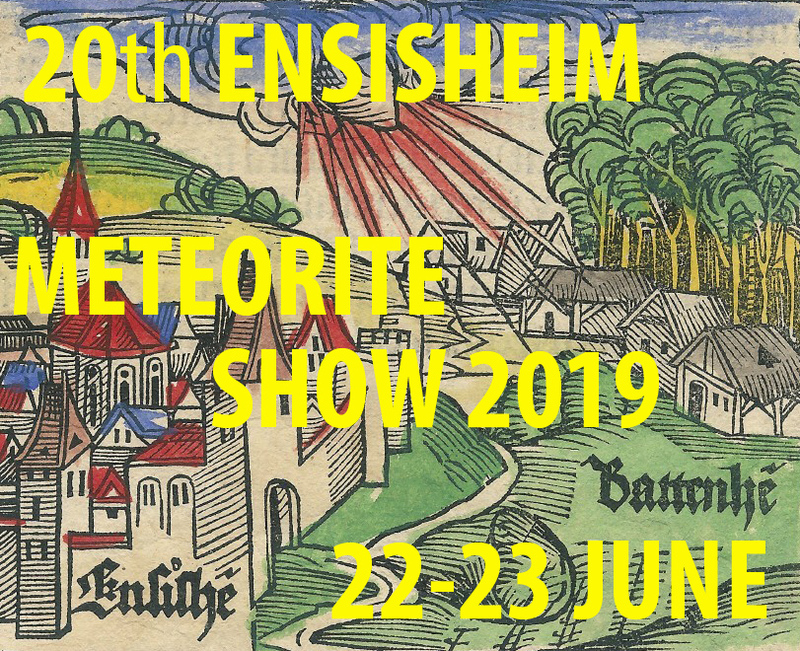 The recovery of the meteorite is another great success of the Desert Fireball Network (DFN), a crucial project which enables the recovery of freshly fallen meteorites and must be supported by anyone having an interest in meteoritics. 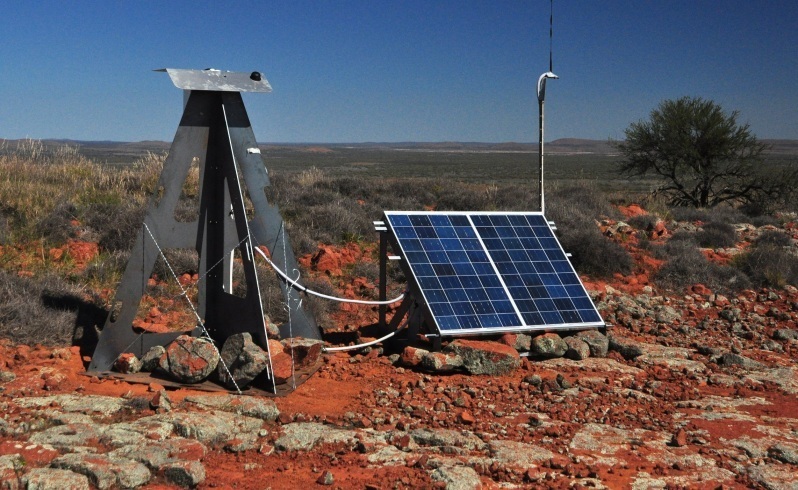 It is a network of currently 32 remote camera observation stations set up in the Australian Nullarbor Desert and a collaborative effort of Imperial College, London, Ondrejov Observatory in the Czech Republic, Curtin University in Western Australia, the Western Australian Museum and other institutions. 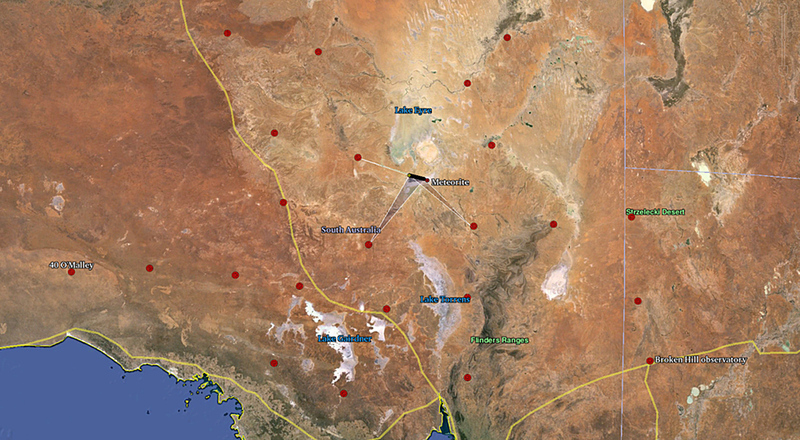 The first find based on calculations using the DFN data was Bunburra Rockhole, a eucrite which fell on July 21, 2007. Bland P. A. * Towner M. C. Sansom E. K. Devillepoix H. Howie R. M. Paxman J. P. Cupak M. Benedix G. K. Cox M. A. Jansen-Sturgeon T. Stuart D. Strangway D.
Benedix G. K. * Forman L. V. Daly L. Greenwood R. C. Franchi I. A. Friedrich J. M. Meier M. M. M. Maden C. Busemann H. Welten K. C. Caffee M. W. Bland P. A. Paxman J. Towner M. C. Cupak M. Sansom E. K. Howie R. Devillepoix H. Cox M. A. Jansen-Stugeon T. Merigot K. Stuart D. Strangway. D.
Cadogan J. M. Bland P. A. Benedix G. K. Towner M. C. Sansom E. K. Devillepoix H. Howie R. M. Paxman J. P. Cupak M. Cox M. A. Jansen-Sturgeon T. Stuart D. Strangway D.
ABC Radio National, Earshot, 5 December 2016, MP3, 28:23 min. Chasing Meteors won the Silver Award of the AAAS Kavli Science Journalism Awards 2017. 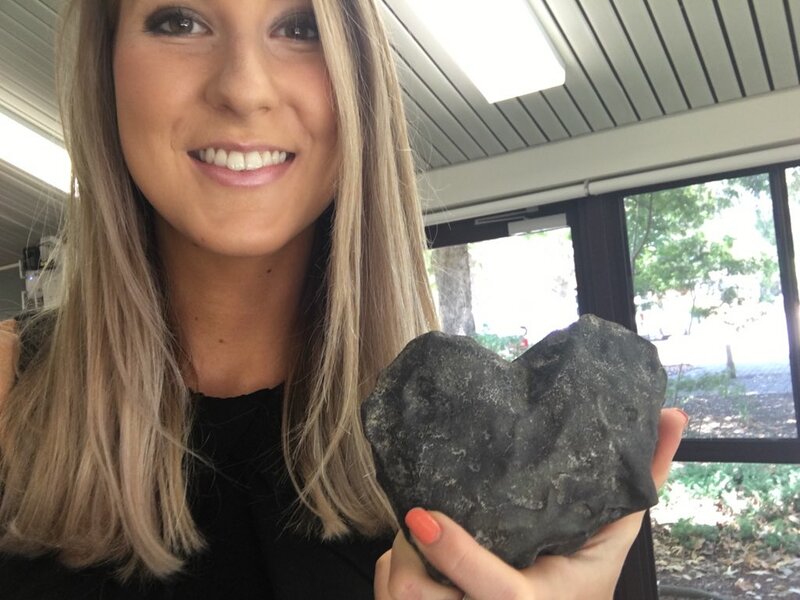 Immediately after it was found it was thought to be an iron meteorite, but later it turned out to be a chondrite. Find location of the meteorite, about 6 km from the edge of the lake. Calculated orbit simulation (orange and dark blue) of the ‘Kati Thanda’ meteorite. 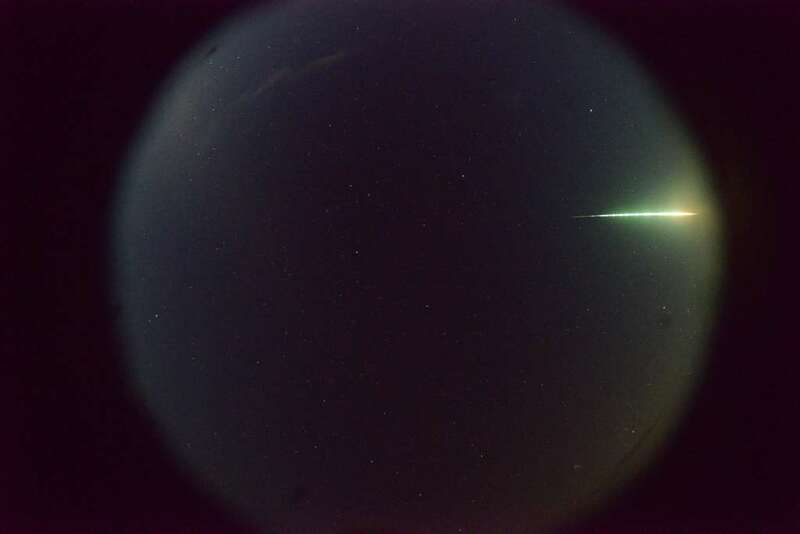 History: The Murrili fireball was imaged by observatories of the Desert Fireball Network, and witnessed by local people at William Creek and Maree, as it blazed through the skies of South Australia around 9:15 pm on November 27, 2015. The object encountered the Earth close to its perihelion point, entering the atmosphere at 13.7 km/s. 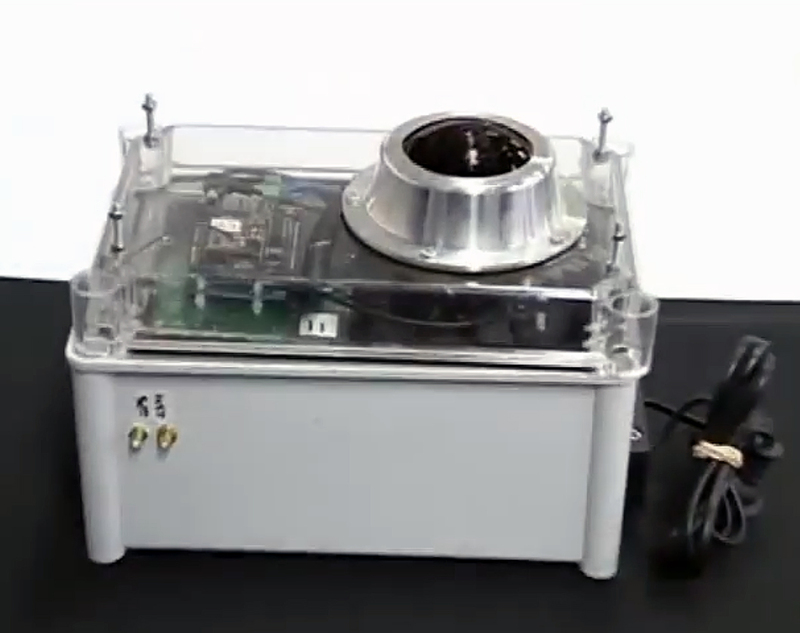 The object stopped ablating at an altitude of 18.32 km over Kati Thanda-Lake Eyre South. Its darkflight and fall position were modelled using a WRF climate model. 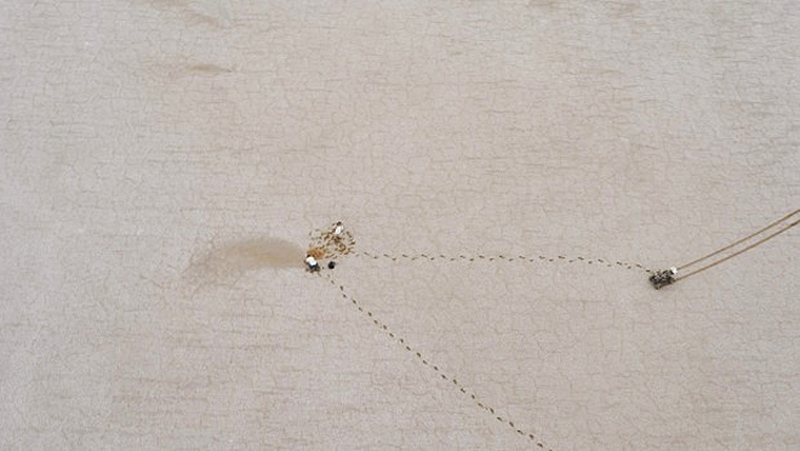 An initial aerial search (2 weeks after the fall) revealed a small crater-like impact in the surface of the salt lake. The Arabana people are the traditional custodians of this land. 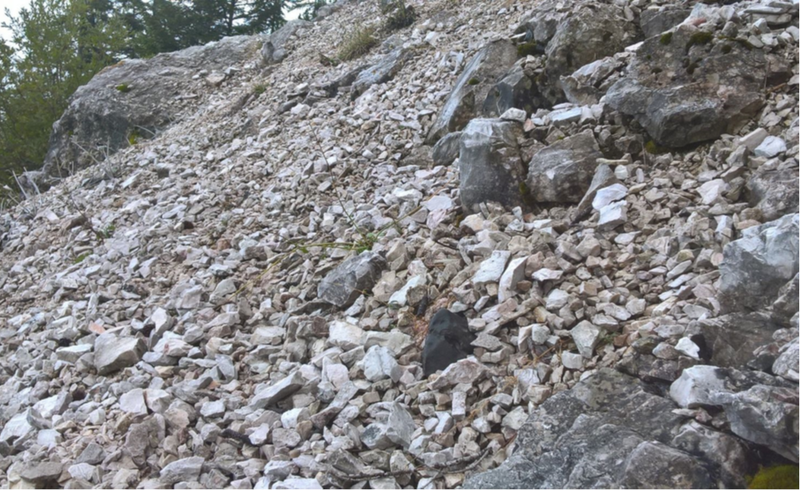 Just after Christmas, with their permission and help – two Arabana men assisted with the search – the ground-based search team set out to collect the rock before rain erased evidence of the fall. 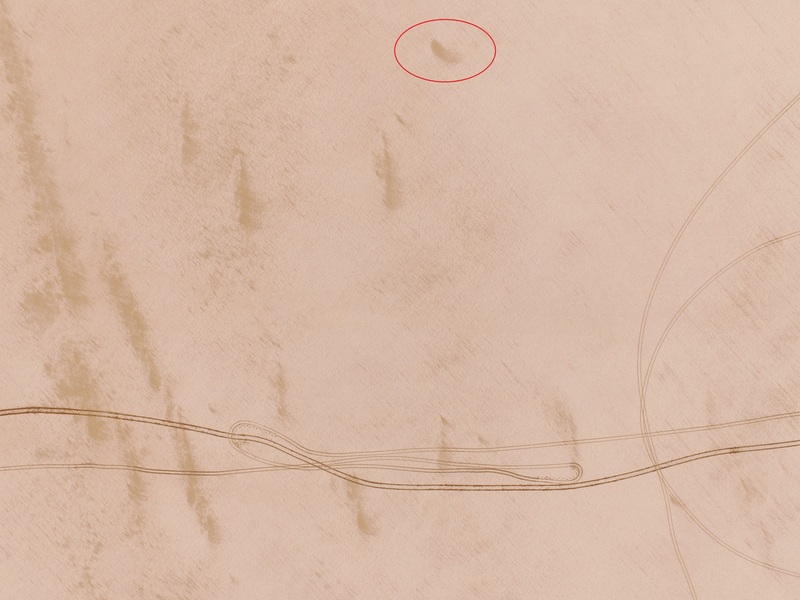 On New Year’s Eve, a second aerial reconnaissance pinpointed the fall site. 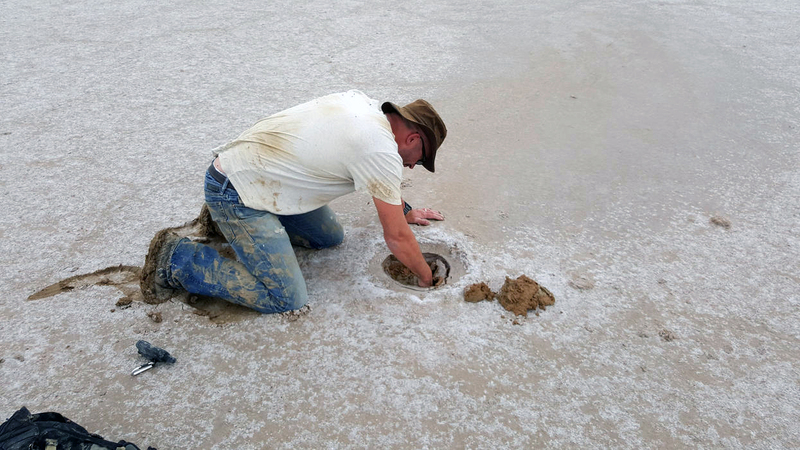 After some digging, the meteorite was pulled up through the salt-rich clay mud of the lake. It was recovered 218 m from the calculated fall line. 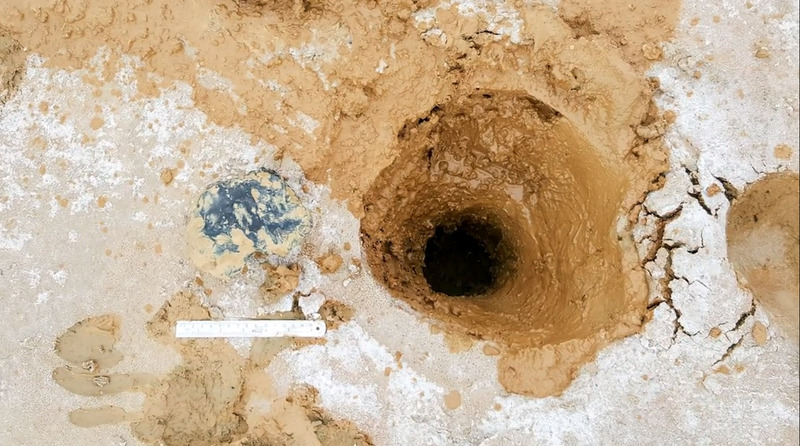 The meteorite had punched a cylindrical hole through the mud and came to rest 43 cm below the surface. 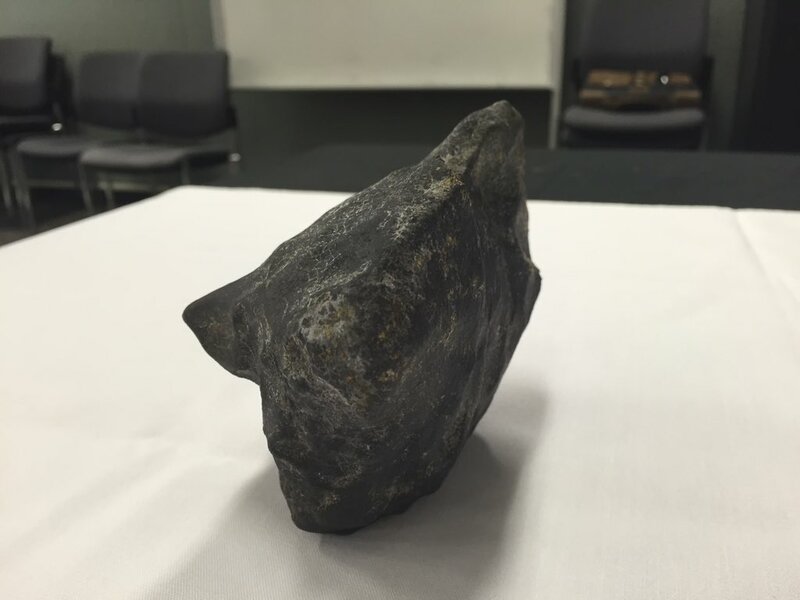 Physical characteristics: Murrili fell as a single stone with a mass of 1.68 kg measuring approximately 13 × 7 × 6 cm. 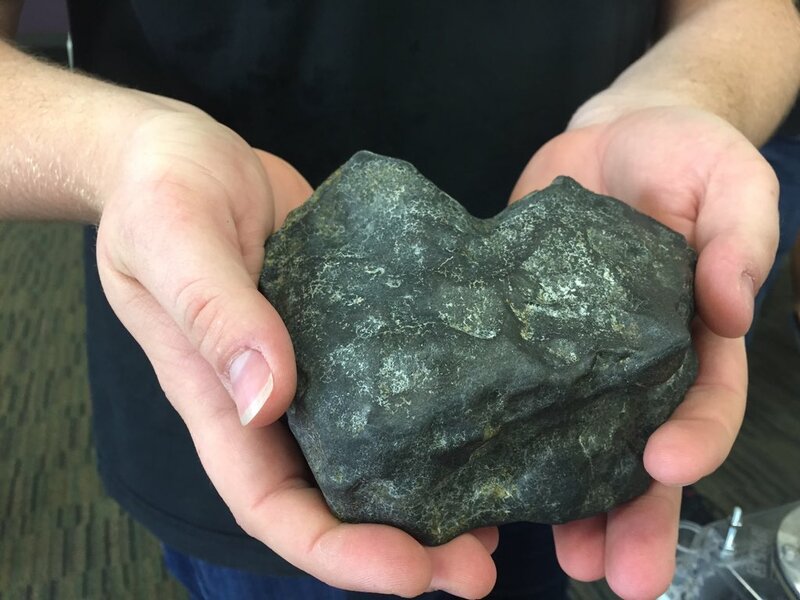 The mass was originally heart shaped. It is entirely covered with a matte looking fusion crust, aside from one small broken corner revealing a lighter gray interior. Two smaller wedges were cut from the mass for study. The cut surface shows extensive alteration with rusty staining heterogeneously distributed. 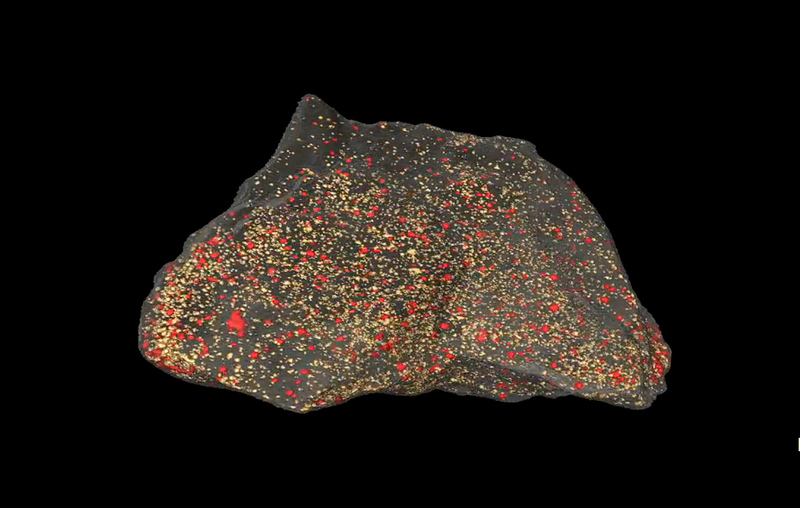 The alteration does not affect the entire rock, there are areas that preserve the unaltered nature of the meteorite. Petrography is based on investigations of a small polished thick section, which samples both the altered and unaltered materials in the sample. The overall texture is typical of ordinary chondrites having some chondrules (barred olivine, the remnants of porphyritic olivine, and possible radiating pyroxene) with distinct outlines, as well as large single mineral crystal clasts. Murrili contains olivine, orthopyroxene, plagioclase, metal and sulfide. Phosphate and chromite also occur in minor abundances. Metal and sulfide are randomly distributed throughout the sample. Some metal grains are altered on the edges, but the majority of metal grains are clean. There are fine-grained intergrowths of chromite-plagioclase. Geochemistry: Olivine composition ranges from Fa18.5 to Fa20.4 (Fa18.8±0.5, n=15). Orthopyroxene ranges from Fs16.1Wo1.8 to Fs16.9W1.1 (Fs16.4±0.3Wo1.1±0.3, n=8). Chromite compositions range from Cr/Cr+Al = 0.850 to 0.868 (n=7); and Fe/Fe+Mg = 0.843 to 0.860. Classification: The above compositions are consistent with classification at a type H ordinary chondrite. The texture, along with the Wo composition of OPX (Scott et al. 1986) and the chromite composition, indicates a petrologic type of 5. Specimens: Main Mass is also type specimen at SAM. 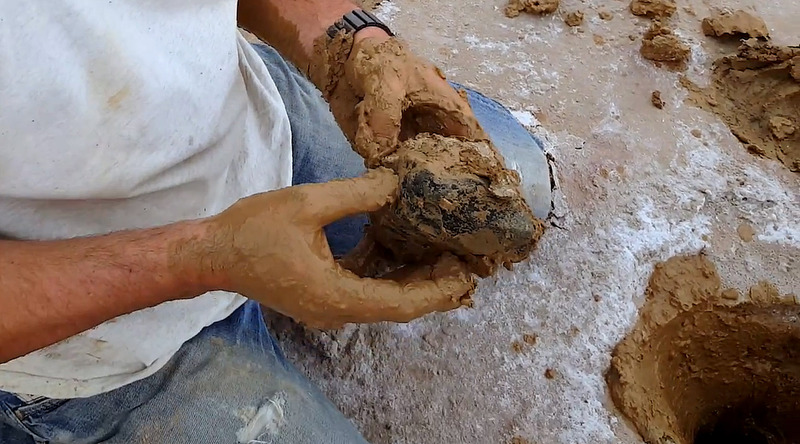 Two smaller pieces (137.2 g and 86.9 g) plus a cut slab (38.6 g) as well as one polished thick section are held at CUWA with the Desert Fireball Network team.